The Justice Department has told a judge it will take at least two years to find out how many of the 47,000 children DHS locked up at the Mexican border were separated from their families by the government. The kids were jailed between July 1, 2017 and June 25, 2018 before U.S. District Judge Dana Sabraw ordered the Trump Administration to stop the “Zero Tolerance” practice of baby snatching and reunite the families. The plaintiff in the case, the ACLU, is understandably upset with the timeline, as are psychologists who treat separated children. Or anyone, really, except Stephen Miller. A report from the DHS Office of the Inspector General finds that an unknown number of children, possibly thousands, were separated from parents at the US-Mexico border before the May 2018 “Zero Tolerance” family separation policy was announced, but weren’t been included in official government tallies of separated families. The kids in the OIG report were placed in foster care but haven’t been reunited with their parents because the Trump Administration lost them. A court ordered migrant family reunification in June 2018. NBC found a draft of a December 2017 memo indicating that DHS and DOJ were planning the family separations well before Sessions’ “Zero Tolerance” announcement. That’s troubling for DHS Secretary Kirstjen Nielsen who told the House Judiciary Committee, in sworn testimony on December 2018, “We’ve never had a policy for family separation.” Senator Jeff Merkley (D-OR) has called on the FBI to open a perjury investigation of Secretary Neilsen. In July U.S. District Judge Dolly M. Gee held that the federal government violated the 1997 Flores settlement by detaining immigrant children seeking asylum for more than 20 days. There are still 500 children in government-run shelters, so naturally the Trump Administration wants to change the rules and do an end-run around Flores. HHS and DHS submitted a Proposed Rule this morning that would allow the indefinite detention of child asylum seekers. “Indefinite” as in “maybe forever,” or until the kids grow up and are old enough to deport. Other provisions of the new rule would allow children and families to be held in facilities that haven’t been approved for state or local licenses, give facilities “emergency” loopholes for not meeting standards of care, revoke legal protections for unaccompanied migrant children. 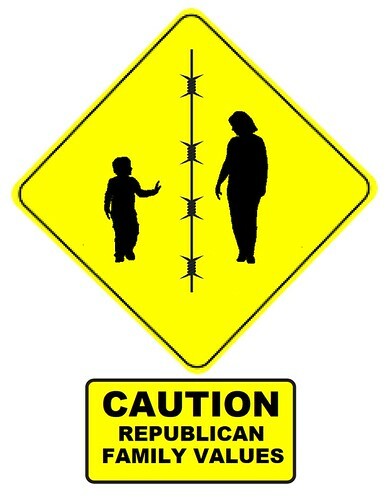 Attorney General Jefferson Beauregard Sessions recently authorized the separation of migrant mothers and children at the US border, and about 2000 children are now in detention centers. It seems cruel, but Mr. Sessions claims Biblical authority, the same passage used to justify slavery. Many disagree, including the United Methodist Church, to which Jeff Sessions belongs. President Donald Trump authorized family separation but reversed course when Fox News started covering crying children separated from their parents. As of this moment there is only a vague plan to reunite 2000 detained migrant kids with their parents, and indications are that, moving forward, parents and children will be locked up together, a practice illegal under current law. Most recently, President Trump has suggested abandoning the rule of law by denying due process to detained migrants, instituting summary deportations. Above: Video provided by authorities, not the media. On Tuesday, MSNBC’s Jacob Soboroff toured Casa Padre, a former Walmart that houses nearly 1,500 migrant children in Brownsville. 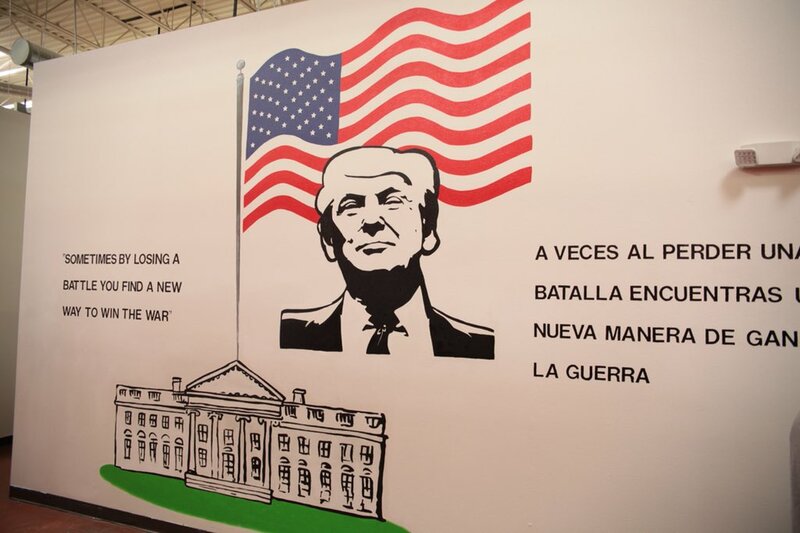 It’s got an inspirational mural of Donald Trump. Since it was established in March 2017, Casa Padre has been cited for 17 child welfare infractions by Texas inspectors. This is one of 26 shelters in Texas, Arizona and California, Georgia, New York, Wisconsin and Florida, holding a total of 14,000 immigrant children and youths, run by an outfit called Southwest Key. The Children’s Health Insurance Program (CHIP) provides health coverage to poor children, through both Medicaid and separate CHIP programs. CHIP is administered by states, according to federal requirements. The federal government provides matching funds to help almost 9 million poor children get medical care. 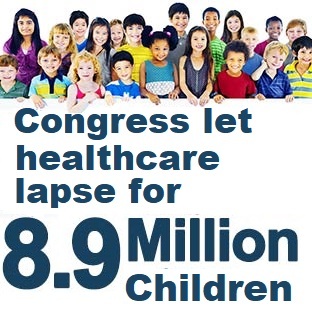 Congress let CHIP funding lapse in September, and state governments are running out of money for poor children’s medical needs. Congress was too busy giving corporations and the rich big tax breaks for Christmas, so it won’t won’t renew the CHIP program until 2018. Until now. Congress let CHIP funding lapse over a month ago, and state governments are running out of money. Apparently the GOP is holding the health of millions of poor children hostage in an attempt to weasel out of more ACA requirements. In November 1908, photographer Lewis Hine, working undercover for the National Child Labor Committee, came upon Sadie Pfeifer working a cotton-­spinning machine in ­a Lancaster, SC mill. Hine believed his images of children, some as young as 8, laboring in mills, meatpacking houses, coal mines and canneries would force demands for change. He was right. Regulations and legislation cut the number of child laborers nearly in half by 1920. Editors of Time Magazine selected Hine’s photo of Sadie Pfeifer as one of the 100 most influential images of all time. See more of Lewis Hine’s photos here.